Your credit score is a number rating that potential lenders check to see how much risk you represent. If your score is poor, you are a great risk to them, and if it’s good, they’ll be lining up to lend you money! There are four main credit rating agencies (CRA) in the UK, all of whom do a slightly different set of checks to rate your credit. Some lenders rely on one, others may use multiple CRAs. If you want to know everything about your credit score, you should look at multi-agency credit reports. You can check your credit score online for free. Single-agency reports are available with free online credit report sites tied to the main CRAs, or you can use a website like Check My File for a more detailed, fuller multi-agency website report. Your credit rating goes up when you do things that show good finance sense and trust, it goes down when you miss payments or overstretch your credit. Bad credit scores will impact your ability to borrow money, get a credit card, finance a car and buy a house. Tell me how to improve my credit score in 3 months in the UK! There’s no quick fix! It’s unfortunate but true. 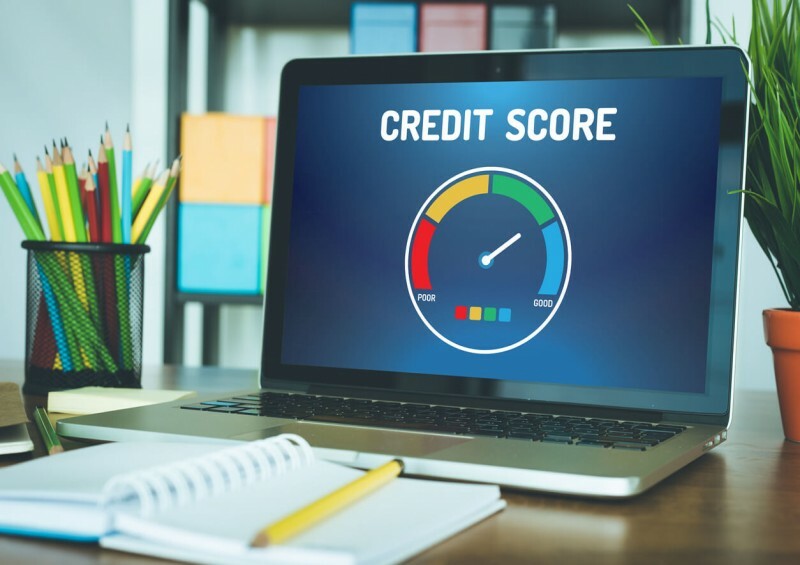 You can find websites out there telling you how you get your credit score up 100 points in one month, or how to raise your credit score fast, but the truth is that it can take some time to improve your credit score. The good news, though, is that once you start doing the right things, you will get good results and your adverse credit history, with those horrible moments where you have to admit you have poor credit, will soon be a thing of the past. Soon – just not immediately! The biggest problem with suffering poor credit is that things can spiral out of control. Chances are that a low credit rating has built itself up over years and during much of that time it has felt as if credit card payments, bills, mobile phone contracts and all the other financial drains that come with living a normal life have just got on top of you. They control you rather than the other way around. You need to take control. Taking control means budgeting. It means looking at your outgoings against your income and making some decisions to better plan and organise your money. Luckily, we have a guide here on Compare UK Quotes to help you out! If you want to learn all about budgeting, then take a look at our guide here. Sometimes taking control can be as simple as acknowledging all the things you have to pay and just making a conscious decision to put your finances in order. Often, however, it requires some level of sacrifice on your part and doing without some of the things you have come to rely on. Prioritise your outgoings and be prepared to drop anything that’s extraneous. Remember – communication is key. If something seems too difficult to handle, give the people that are in charge of it a call, whether that’s a credit card company you owe, or a regular bill where the direct debit is just at the wrong time of the month - talk to them to solve your problem. Lenders love it when you talk to them, and they hate it when they have to chase you! Let them help you solve the issue – after all, it’s good for them as you’ll end up with an arrangement that guarantees them the payments in a way they know you can afford. In control now? That’s great! What is good credit score? What is a bad credit score? Do you know the answers to these questions? Read our complete guide on credit rating and understand exactly what it is, how it is calculated and how you can keep a close eye on it. Recent changes in the law mean your credit rating is no longer held in secret away from you, but is yours to view whenever you want. You get to see everything in full before anyone else can. That means you can work out whether you are going to be approved or rejected for new credit before you even make the application! There is no quick fix! But there’s a pretty solid set of fixes with a decent turnaround! The key to fixing your credit score yourself is to show you are low risk - to take out affordable lines of credit and then pay them, always on time, always without problem. Your credit rating is a history of your financial borrowings, so build a good history by being a good investment. Look at credit cards for bad credit. This subset of specialist credit cards are easily obtainable, even by people with poor credit. The interest rates are high and the maximum level of credit is low, but over time they can provide you with an excellent history. Get your regular food shopping using one, and immediately pay it back (even do so with the app while you leave the supermarket!). This will build your credit history with the credit card company in a very good way. Never miss a payment (always make at least your minimum payment) and never go over the limit (leave at least 10% of your limit free to cover interest and charges when they are added onto the balance). Take out small, affordable contracts. Mobile phones are the best example of these contracts. All the phone companies will do a credit check on you before they hand over a handset, and all of them will report back to the CRAs when you’ve been good and repeatedly paid your monthly bills. It takes times – months have to pass before you have a history with them, but it’s worthwhile (plus you get a phone)! Apply for an overdraft. Then don’t use it. Like credit cards, having open credit available for you, even if it’s just a couple of hundred pounds, and then showing how good you are by not using it or only very occasionally dipping into it, is going to improve your financial standing in the eyes of the lenders. Take out a small personal loan. Like credit cards, personal loans are a godsend for improving credit. Don’t get anything you cannot afford to pay back, and don’t just splurge the extra cash on wasteful things, but a small loan over a couple of years can help you build up to bigger things in the near future. By taking these small steps you build your credit up in stages. Six months will pass, and you’ll find yourself given the option of increasing credit card levels or getting progressively better loans. A year or two will go buy and you’ll have forgotten all about the days of bad credit! It can take months to build your good credit score up, and only a few days of irresponsible behaviour to send it spiralling down – like stepping on a snake in Snakes and Ladders. Remain in control and your credit rating will continue to improve until big purchases like cars and houses are more about choosing what you like rather than choosing what you might be able to get. Smartphones are one of the best tools for maintaining that control. With mobile banking apps, budgeting apps, credit rating check websites and more, it is easy to keep a daily eye on your financial activity and deal with any problems before they occur. Fifteen minutes a day checking your balances and moving money around where needed can be a routine that keeps you with a good credit record for the rest of your life. How to improve your credit score - things to avoid! When getting credit after years of struggling, the temptation to go on a shopping spree is huge. A sudden influx of £1000 of credit to a family that have been struggling with the weekly shop can be too much temptation – new clothes, new shoes, even a new TV all seem within reach. Don’t! Keep your credit back for emergencies and only spend what you can afford to immediately pay back. Buy now and pay nothing until February 2025 can also be read as ‘have a sudden, unwanted debt in February 2025 that you are no more equipped to deal with than you are today’. Unless you have guaranteed knowledge that your personal financial situation is going to improve in a year or two, then you cannot assume you’ll be any better off in the future than you are today – and the only way to make sure you are is to be sensible with money now! That means not buying a sofa just because you can! Avoid any deal which offsets a debt – it’ll just come and bite you later. Avoiding paying a debt, missing a payment or trying to skip a bill without talking to the other party is the biggest mistake made by people in debt in the UK today. Communication should be the very first thing you do if you are struggling – it may surprise you how much help is offered from the other end. Every time you apply for credit, it’s noted on your credit score. Do it too much in a short space of time and you look desperate – a sure sign of high risk. Don’t go on a credit-grab just because you have improved your rating a little - it’s like shooting yourself in the foot! At Compare UK Quotes we focus on personal finance and helping you do what you can to get the most out of your money. Our library of articles on everything from credit cards to life insurance is here to give you as much advantage as possible. Take a look at our articles and please do share anything that helps you – it could be just what someone else is looking for!